Tutor Tech Computers is your One Stop Shop for Computer Repair, Sales and Service. In Addition, we offer Music Lessons, Sales and Instrument Repair as well as Cellphone Screen Repair. We also provide Website Hosting and Creation for small businesses. Tutor Tech is also the Authorized Purolator Agent for the Lumby area. Located in Lumby, British Columbia, Tutor Tech has been a proud business member for 16 years. Store hours are Mon-Fri 10:00am-5:30pm. Upgrade confidently – 300+ million fans have upgraded and are loving it. Windows 10 provides a familiar and productive experience across your PCs, tablets, and phones. The experience takes the familiarity of the Windows desktop and merges it with recent advancements, making you an expert from the start, and giving you the freedom to do great things. Windows 10 is designed for the world’s largest and most demanding enterprises and governments to help protect their data, devices, and identities. That same level of security is also available for your business, giving you peace of mind that your business is more secure. Windows 10 provides simpler, more flexible management and setup. It offers a range of ways to manage your system that decrease cost and complexity—and please end users. You decide how much management you want to apply. We want your consignments! 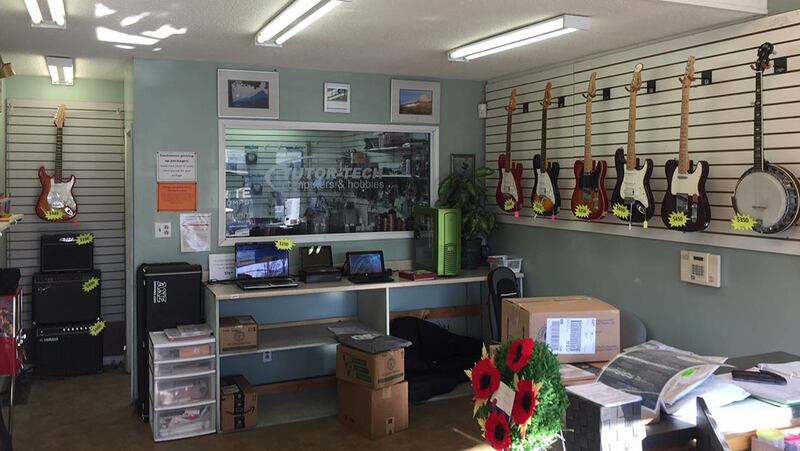 Bring in your computer, cellphone or music gear and we’ll consign it for you. our stock is ever changing so check out our website often to see the latest consignments.